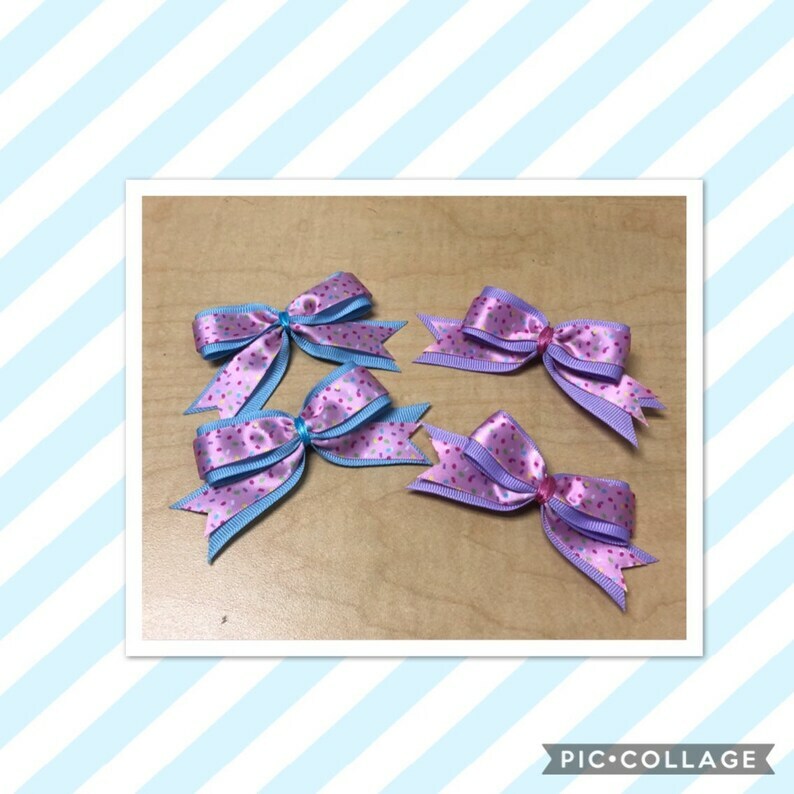 Super cute and fun small sprinkles bows with lavender or baby blue background on small alligator clip. Approximately 3 inches each. Make sure to send color preference in notes.